IN a bid to have all the trial heard in public, defence QC Geoffrey Robertson cited the words of John Lilburne, a 17th century radical, MP and author who penned tracts on the English Constitution. 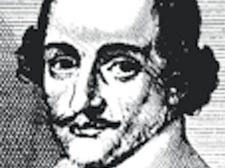 Lilburne, nicknamed Freeborn John and a key figure in the Civil War, was brought before the Star Chamber in 1649 accused of libel. The court hearing the libel case ruled that the gate must remain open “that all the world may know with what candour and justice the court does proceed against you”.